Hi Everybody! This week is Blogathon Canada host by Sew Sisters – a fantastic quilt shop in Toronto. (I’m in their Kona Club) Sew Sisters is hosting a giveaway on their blog everyday this week. If you’re just finding out about this now you can still go back and enter the giveaways from the beginning of the week because all giveaways are open for the whole week until November 23rd. All the giveaways are open worldwide. Blogathon Canada is a blog hop of Canadian Quilt blogs. There are two hosts for each region or province and they have links on their host posts of other Quilt blogs in their area. All the links to the hosts for each day are on the Sew Sisters blog. Each host has a giveaway on their blog from Sew Sisters Quilt Shop as well (and those are also open worldwide). Thank you for clicking over to visit my blog and thank you for clicking in from your reader if you’re already one of my followers. I am so happy that you came by to see me that I am giving away a little something from my stash to one of you at the bottom of this post. If you don’t win this one, don’t worry, come back on Dec. 8th when it’s Sew Mama Sew giveaway day because I’ll be giving away another of the same prize. My first truly modern quilt. Bloom Bloom Pow designed by Lee of Freshly Pieced. Okay, so for those of you who haven’t been here before, Welcome! I am Anita. I am a military wife living in Wainwright, Alberta. My husband is a soldier in the Canadian army. I have been quilting since 1997 when he went on his second (my first as spouse) tour of duty to Bosnia. I have been sewing since I was a little girl. I have three children: a son (age 9) and two daughters (age 6 – today! and a two month old baby). You can learn more about me and where I live in my Around The World Blog Hop post. My three kids and I on November 11, 2014. I enjoy traditional and modern quilting but I am strongly inclined towards modern now. I am in a birthday club on Instagram with nine other Canadian women. Each month there is a different birthday girl and we all make gifts for that person. This is a pillow/cushion that I designed and sewed for the November Canuck Birthday Club girl. She loves flying geese. This is a drawstring project bag that I made for the November birthay girl also. I embroidered the centre panel with a pattern from the book “Little Stitches” by Aneela Hoey. I am also in many other swaps on Instagram. It’s kind of a new addiction. The great thing about swaps and birthday clubs as they challenge you so sew for someone else and to do your very best work. This is a Strawberry mini that I made for the Strawberry Swap on Instagram this summer. This is a sneak peek I just posted on Instagram of my IGmini Swap quilt. It’s ready to be quilted. I also have sewn quilts of valour for three Canadian soldiers suffering with PTSD (Post Traumatic Stress Disorder). My first Quilt of Valour. I posted about it here. “Diamond Tread” pattern by Lee of Freshly Pieced. My second Quilt of Valour. Pattern designed by Cheryl Arkinson. I posted about this quilt here. My third Quilt of Valour. My own layout using a panel and Swoon blocks. Swoon block pattern by Camille Roskelley. I posted about this quilt here. Thank you again for coming to visit my blog. Here is the giveaway I have promised you from my stash. It is four fat quarters of Holiday Happy by the Happy Zombie for Lecien just in time for sewing Christmas projects. If you don’t win this time come back on Dec. 8th because I’ll be giving away another four fat quarters that week for Sew Mama Sew giveaway day (which is actually a week long). This giveaway is open worldwide. Please use the Rafflecopter to enter. (It makes my life easier when it comes to picking the winner.) If you don’t have Facebook you can use your email address. Hi Anita, Its nice to learn more about you. I love your style of quilting and I couldn't notice what we had in common – we both recently stitched the same embroidery pattern from 'Little Stitches' and we both made a mini quilt for Amy in swaps! Sew nice to meet you Anita, I am your neighbour to the East in Sask!! I have seen the Canuck Birthday club on IG, sadly I am always too late for these things!! 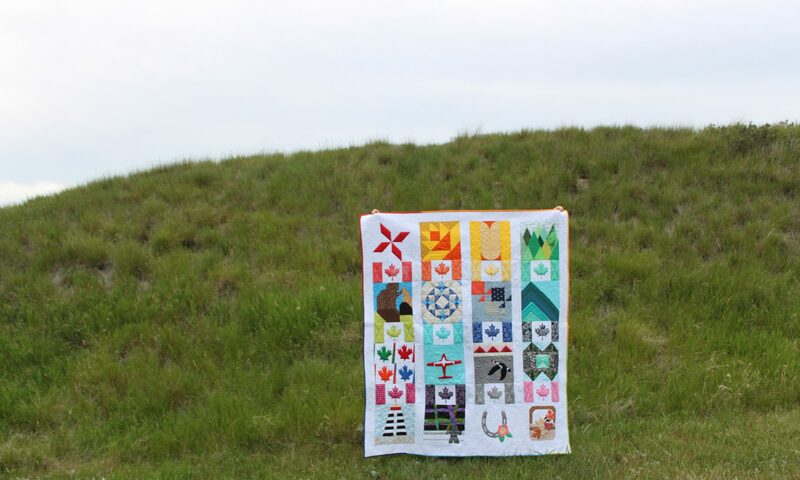 Love your Canadian flags quilts. Very striking. Beautiful quilts and such wonderful colours. I'm glad to have found you through the blogathon and will add you to my blogroll. Come and visit me when it's Quebec day! Your quilts are beautiful!! I live in a small community north of Lake Superior in Ontario. Sweet fabric choices for your giveaway!! Thanks! What beautiful quilts! I live in Southwestern Ontario in the Great Lakes basin. Hello! I am originally from the UK but now live in France. Thanks for the giveaway. I am from New York-nice to meet you. I grew up in Las Vegas and lived there for about 50 years but now live in Oregon. Forgot to add that I'm from PEI. Nice to meet a fellow Albertan blogger. You have a beautiful family! I'm from the UK – good to meet you! Hi Anita! Those little elephants are adorable! How nice that you have been able to make some new quilty friends on instagram. The gifts you made are beautiful! I'm from Conestogo, Ontario, just out side of Waterloo. Lovely work Anita and how cool of you to host your own giveaway! 🙂 We've shared on fb! Hello from Nova scotia , your work is lovely , especially love your quilts of valour ! Nova Scotia here! Your quilts are amazing! Love them all! HI from Montana! Love your Blog! Love the Strawberry Mini+your photos! What great designs. I love your quilts! Nice to meet you, Anita. I'm from PEI. I'm from BC and have been enjoying your blog for about a year. I love your quilts. The maple leaf one is very beautiful. I'm from Grimsby Ontario. Thanks for the giveaway. Hi Anita, I love the flying geese pillow and the Maple Leaf quilt of Valor. Thanks for the giveaway and the chance to win. I'm from Dayton, Ohio in the US and a follower! I'm fairly new to all things sewing and your blog has definitely given me tons of inspiration! Love it and all of your quilty goodness! 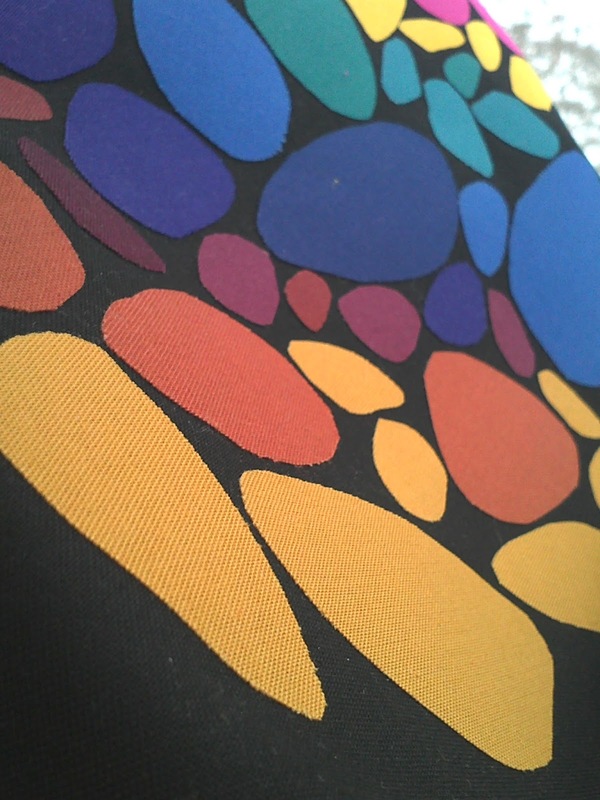 Thanks so much for the giveaway, beautiful fabric! I really enjoyed scrolling through your blog. The quilts have valor that you have done are wonderful. Thanks for being a part of the blogathon. Love all of your quilts! Thank you! Hi from Michigan USA – I enjoyed reading your blog! Your quilts of Valor are fabulous! Thanks for sharing. Great valour quilts. Thanks for the giveaway. I'm from Provo, UT but I'm living in San Diego right now. Hi I'm from NY and happy to see your lovely quilts! and add a new blog to my list! could of been me writing that, my house is very messy too haha. i decided to follow you just for that one post, i mostly only follow mqg otherwise i'd have waaaay too many blogs to read, though i do like your modern quilt, love pearl bracelets better than just dots. Hello Anita – I'm from Calgary. Love your quilt of Valour – I can see how that would be close to your heart. Love your strawberry mini – very cute!! You have a beautiful family and do lovely work! I'd love to be a swap partner! I am from Dubuque, Iowa…right on the Mississippi River! Adorable kids! I have 3 grown kids and don't remember how I did it all! I get to start it all over with grandkids! Love your blog! I'm from Calgary! I follow you by Bloglovin! Thanks for the intro! I am from Dartmouth, NS….and I LOVE LOVE LOVE you Quilt of Valor…you don't see a Canadian version of this quilt….it is so bright and colorful. Great to meet another "local" blogger. Originally from TN but now in FL. I am from Red Deer but I have lived in Edmonton since the mid 1970's. I began quilting in the mid 80's but left if for about 10 years. I went back to quilting in the mid 1990's and have quilted pretty steadily since that time. Happy Blog hopping- I hope you meet many new bloggers at the hop. Hi, Edith from Calgary, with long-arm quilting business called Inch by Inch Quilting. I am in NC. You have a beautiful quilt but more importantly you have 3 wonderfully, goodlooking children. Praises to you and your husband for his service. Kiss those babies. Hello from Nova Scotia. Your quilts are stunning. Hi there from Ontario! Your Quilt of Valour is stunning! love your Quilts of Valor! They must have meant so much to the soldiers. Nice site and cute quarters!! Love your blog! And your projects! (And, of course, the adorable baby! )…Visiting from the Canadian Quilters Blogathon! Hi Anita, I'm an ex-(and missing it) Albertan living in Wisconsin at the moment. I'm enjoying your blog until I can get back to AB. I am from Illinois. Love your strawberry mini. Thanks for the giveaway. From atlanta, Georgia! Your birthday gift exchange club thing sounds so fun! But also hard- I'm impressed with all you do AND having kids let alone a baby!! Wow, Anita!! Your modern projects are amaze-balls!! Happy Happy birthday to your little girl :)) XXOO! I am from north Georgia and I love your modern quilts and pillow. I'm from Saskatchewan and I loved seeing all your beautiful sewing! I'm from the Deep South, in the sw corner of Louisiana. I love all your quilts! Thanks for the sweet giveaway. I am from southern Manitoba. Would love this cheerful holiday fabric. Hi Anita. I'm from Calgary. Your Quilts of Valour are wonderful! Hello from Texas! Your work is lovely! I grew up in the Midwest USA and now live in the SE. Greetings from WA state! Love the toy elephants! Hey y'all! From North Carolina, the land of mountains, coast and everything in between! Thanks for the chance! I'm from Iowa but now live in NM USA. I'm visiting from Blogathon Canada and I live in the Yukon. You have some lovely pieces of work! Love your Quilts of Valour. I've started one called Scrappy Maple Leaves, but I ran short of scraps, so I've got to make other stuff to generate more scraps! Silly, eh? But I have this vision of hundreds of fabrics in the quilt – hopefully it won't take too long before I can pull it out again! The little elephants are adorable. I need to make some of those. I am from Pennsylvania, where it is a lovely 40F after 2 weeks of 12-30F. So nice. I would just create scraps from other fabrics I have, by cutting the pieces you need from the edge of the fabric. So sense shelving a project you enjoy working on and forcing yourself to create scraps the hard way. Love that pillow you made! I'm in the US.